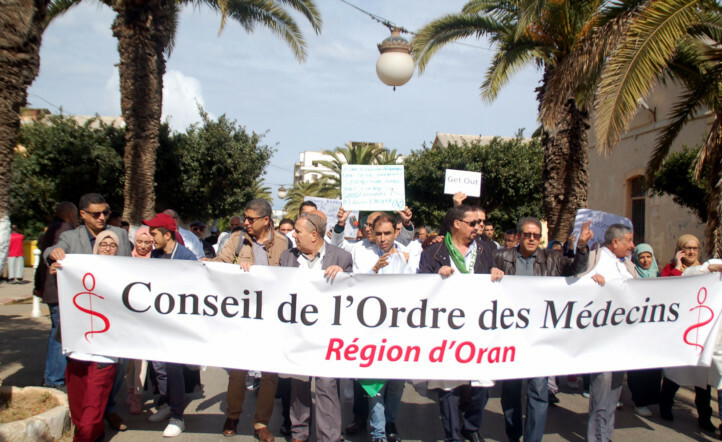 Algiers: An influential Algerian party that was a long-time supporter of Abdul Aziz Bouteflika has criticised the ailing president for seeking to stay in power, another setback for the ruling elite in the face of mass demonstrations. “The candidacy of president Bouteflika for a new term was a big mistake,” RND spokesman Seddik Chihab told Al Bilad TV. “Extra constitutional forces have seized power in the past few years and ruled state affairs outside a legal framework.” Bouteflika, who has ruled for 20 years, bowed to the protesters last week by reversing plans to stand for a fifth term. But he stopped short of stepping down and Said he would stay in office until a new constitution is adopted, effectively extending his present term. RND leader Ahmad Ouyahia, a former prime minister who had close ties to intelligence agencies, has also switched sides. Leaders have emerged from the protest movement, offering an alternative to Bouteflika’s political roadmap to what he says will be a new Algeria. But they have not built up enough momentum to force the president to quit or make more concessions. Another powerful figure, Bouteflika’s younger brother Saeed, has kept a low profile. The president has rarely been seen in public since suffering a stroke five years ago, and the protesters say a shadowy circle of aides, including Saeed, have been ruling the country in his name. In the first direct public message to the generals from leaders emerging from the protests, the National Coordination for Change said the military should “play its constitutional role without interfering in the people’s choice”.